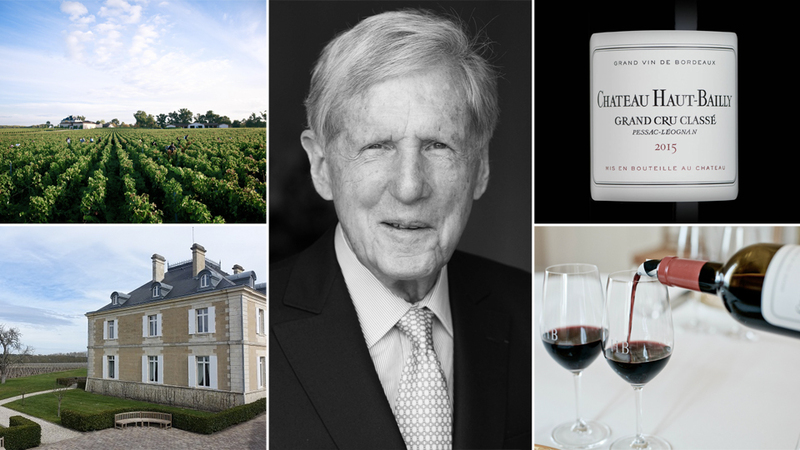 Robert G. Wilmers, the widely respected owner of Château Haut-Bailly, passed away unexpectedly on December 16, 2017 at 83 years of age. Wilmers enjoyed a long and distinguished career, most notably as the Chairman and CEO of M&T Bank. Among his many achievements, Wilmers is credited with successfully guiding M&T through the financial crisis of 2008, largely by avoiding the speculative investments that proved to ultimately be the downfall of many banking institutions. Wilmers was also active in numerous philanthropic endeavors. The first time I met Bob Wilmers was at a Jefferson Foundation dinner held at the French Embassy in Washington DC about eight or nine years ago. It was a formal affair attended by numerous luminaries from the wine world, including Domaine de la Romanée-Conti’s Aubert de Villaine and Pierre-Antoine Rovani, who preceded me at The Wine Advocate. I was immediately struck by Wilmers’ quiet demeanor and understated personality. I did not know Wilmers well, but we shared a common love for wine and finance. On my last visit to Haut-Bailly, Wilmers asked me numerous questions about a company he thought I might know something about. Only after I delivered my final verdict, did Wilmers tell me he was an investor in that company! Wilmers was quiet and reserved. He liked to listen more than talk. His steady but sure style was always evident. But when it came to wine, something changed and he became much more animated. Nothing excited him more than French wine and his beloved Haut-Bailly, the Bordeaux château he took from relative neglect to the top of the pack. Wilmers is survived by his wife, Elizabeth, son, Chris and a large extended family. He will be deeply missed.